over 20 years with the help of the University. 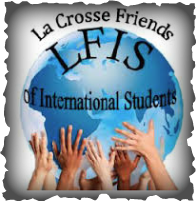 Open your eyes to the world and your heart to LFIS Friendship Family! Contact Michelle Strange at mstrange@uwlax.edu or Lisbeth Reynertson at usdk@centurytel.net for more information.